Appliance Champion repair professionals can help get your washer or dryer back on track. Frigidaire is a one-of-a-kind brand. In fact, that’s probably why you picked the brand to be installed in your Dallas-Fort Worth home. 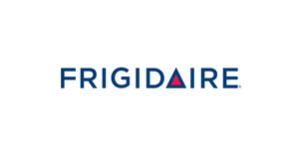 With this brand’s reputation for quality and excellent operation and service, it’s no wonder Frigidaire products are as successful and widely-used as they are. So what happens when your trusty Frigidaire machine breaks? It happens more often than you think, whether through flooding or outright refusal to run. Your first plan of action may be to panic and start researching prices for a new washer or dryer. However, we have an alternative suggestion: local Frigidaire washer repair and dryer repair services. Here’s how appliance repair may prove more beneficial in the long run. 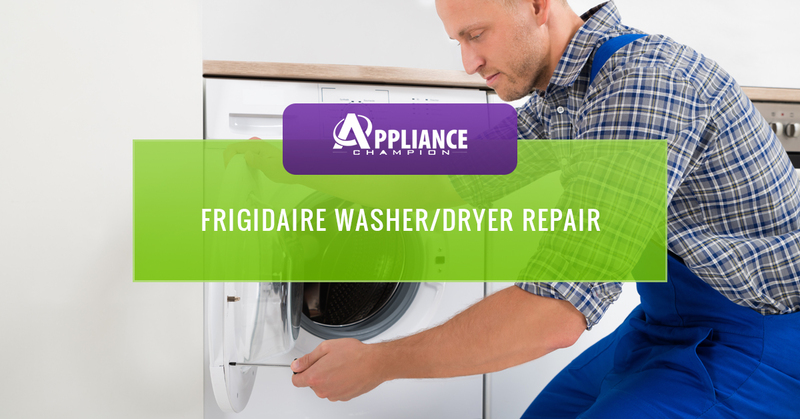 At Appliance Champion, we are fully equipped to understand and meet the unique washer repair and dryer repair needs of your Frigidaire appliance—all without the long wait commonly associated with repair services! Our team can tackle a wide myriad of problems common in the Frigidaire line of dryers or washing machines. We believe you not only deserve access to efficient and convenient washer repair and dryer repair services, but also your Frigidaire washer and dryer deserve full protection as well in the form of an intact warranty; our Frigidaire repair services won’t negate or conflict with your existing warranty, meaning you can rely on us anytime! Interested in what Appliance Champion has to offer? Consider contacting us today! We want to help you get your Frigidaire dryer and washing machine back in working order. Appliance Champion serves clients in the Dallas-Fort Worth area including Keller, Southlake, Grapevine, Colleyville, Bedford, North Richland Hills, Arlington, and Saginaw areas and beyond with Top Rated Local® appliance repair. We do this through making ourselves available for emergency and same day appointments because often you need appliance repair not during normal business hours. Also, we pride ourselves in hiring only the best appliance repair techs who are factory-certified, background-checked and drug-tested; with each appointment, we aim to build trust with our clients by explaining the service performed and maintenance tips. Call Appliance Champion for washer repair and dryer repair that you can count on.